Labrador retrievers are today one of the most popular pets in the world, but they were first bred as working dogs in Newfoundland and Labrador, a Canadian province near the Atlantic. Closely related to the Newfoundland water dogs, labs were distinct because of their black, smooth coats and their smaller size. Fishermen quickly took notice of the dogs for their ability to fetch lines and nets in the water and bring them back to shore, and they fell in love with the breed’s affection and lovable energy at the end of a long day of work. Labs soon became the dog of choice for the fishermen in the area, who benefitted from having strong dogs who could swim. Travelers who ventured from Canada to Britain started bringing the dogs on their voyages, and labs became a favorite of the estate classes in the 18th and 19th centuries. In 1903, the breed was officially named the “Labrador retriever” by the English Kennel Club, and the dogs became even more popular thanks to their ability to retrieve game and bring it back to hunters without damaging the meat. In 1917, the breed was acknowledged by the American Kennel Club, and the popularity of labs has only grown since then. 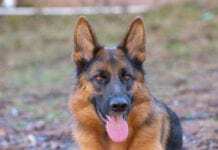 Today, in addition to being reliable working dogs, trustworthy hunting companions and prize-winning show dogs, they are among the most popular breeds for family pets. Labs are Intelligent and eager to please, they love learning new things and trying something different that makes them happy.At the top of the “10 things you should know before owning a Labrador” list is that labs have huge personalities. Labrador retrievers are happy, lovable and loyal. Be prepared to be greeted with a wagging tail and boundless energy when you walk through the door, even if you’ve only been away for a quick errand. 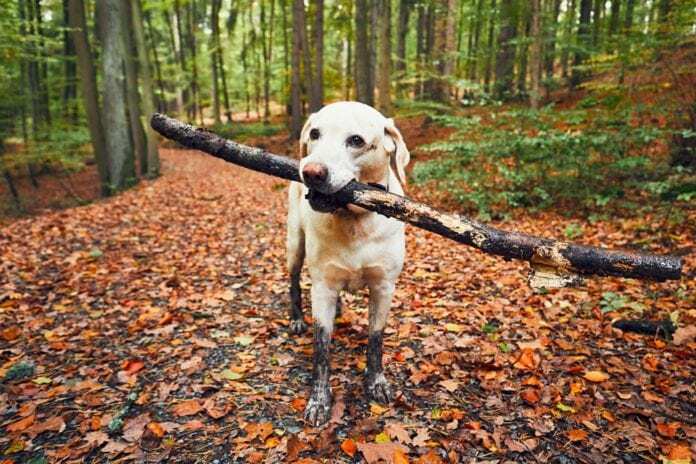 The epitome of “man’s best friend,” labs love engaging in family activities like playing fetch, swimming or hiking. Labrador retrievers are generally good-natured, kind and take things in stride. They are giving with their affections, so don’t be surprised if you get lots of sloppy kisses, and they tend to be bouncy with an unrelentingly enthusiastic attitude toward life. Intelligent and eager to please, labs love learning because it makes them happy to make their human companions happy. They also crave learning as a source of stimulation. When they struggle to learn a new concept or trick, they will happily try again instead of becoming frustrated, troublesome or angry. Labs tend to be friendly not just with humans, but with other dogs and animals as well. They may not understand why an aggressive dog doesn’t want to play, and they’ll want to befriend most other four-legged peers around them. If you’re looking for a sociable, affable, cheerful, even-tempered pup who wants nothing more than to be a part of the family, choose a lab. The potential downfall of this big personality is that enthusiasm may turn into excitability. For example, while labs are social and welcoming, they may take it a bit too far by jumping on a stranger visiting the home. While they love to play, they may find it difficult to calm down when humans say playtime is over. Labs are named after that skill they have! Your dog can burn up tons of energy by chasing around a ball or toy and bringing it back to you, but labs have all those skills.All of that energy needs an outlet, and labs need a lot of exercises to keep their enthusiasm without taking it too far. A tired Labrador retriever is a well-behaved Labrador retriever! You won’t have to convince your lab to get exercise. Just walking toward the leash or glancing over at a ball can be enough to get most labs excited about exploring the outside world. Most experts agree that all dogs need at least 30 minutes of exercise a day, but labs require even more. Getting out your lab’s energy is only one reason to get moving. Exercise also helps improve your dog’s cardiovascular system, builds muscle, strengthens bones and will likely lengthen his life span. Walking is a great way to get these benefits, and most labs love going for strolls through their neighborhoods with their human companions. Because labs have such high energy, you may need to pick up the pace depending on your dog’s needs. Consider going for a jog or run, starting off at a short distance and gradually building your length and speed. Labrador retrievers also love a good game of fetch. Remember, they are named after that skill! 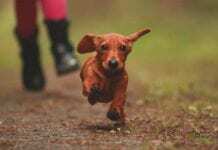 Your dog can burn up tons of energy by chasing around a ball or toy and bringing it back to you. Other great ways to exercise with your lab include hiking, playing recall games, swimming, romps at the dog park with other furry friends and playing tug with toys at home. Good behaviors are rewarded with treats. Labs have all the skills to amuse you. They tend to learn quickly. Labs love to please their human companions, which makes them eager students. Starting obedience training while labs are the puppies is a great way to prevent excitability later in life, build a bond and socialize your dog. One of the first skills to tackle with your lab should be loose-leash walking. Labs grow up to be fairly large dogs, and they may have a tendency to pull on the leash out of excitement. Training them to walk well early will give you a lifetime of happy walks together. Labs learn most from positive reinforcement training. 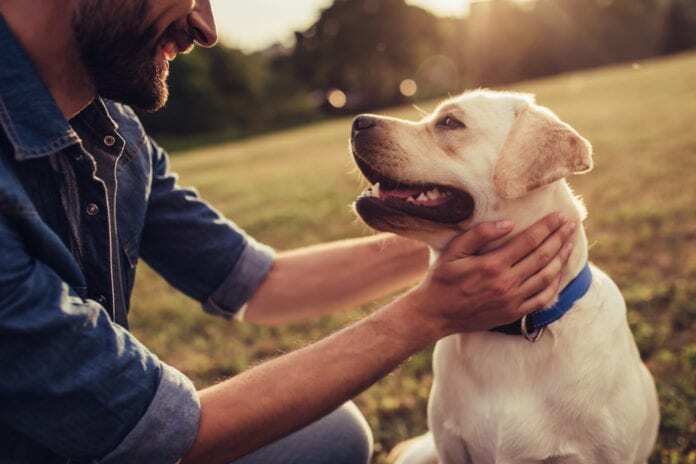 Good behaviors are rewarded with treats, whether they be edible ones, some snuggle time, a pat on the head or an enthusiastic “good boy!” Over time, your lab will start offering the desired behaviors without prompting, and you may give treats less frequently. One thing most labs aren’t blessed with is a long attention span. Keep training sessions short, never going beyond about ten minutes. Do a few sessions a week to see the best results. Consistency is another key when it comes to training labs. Stick to the same commands and signals, and don’t offer treats until the proper behavior is produced. Your lab will learn faster from this consistency, and you’ll be able to get his attention more easily when you need it later. Labrador retrievers love having jobs to do, and they will thrive in advanced training programs for sports or service. Make learning a lifetime adventure for your lab to keep him healthy and happy. If you spot your lab over-grooming, chewing on shoes and other forbidden objects, it is the best time for mental stimulation. 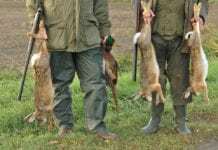 This breed needs mental exercise as much as physical. 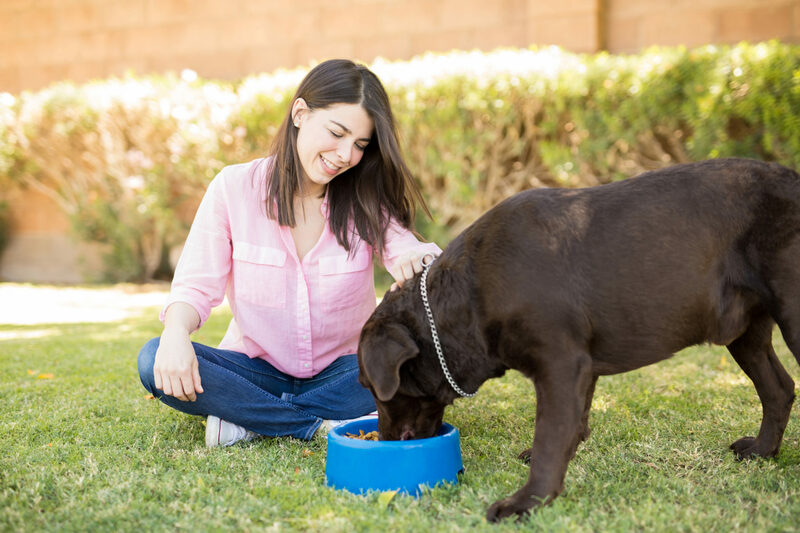 Stimulation is one of the keys to a fulfilling life for labs, and you can bring out the best in your four-legged friend by creating opportunities for enrichment. 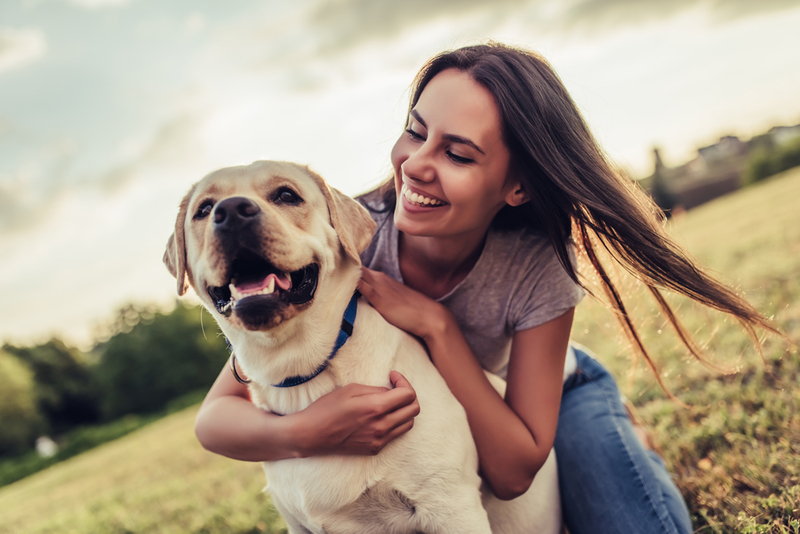 Dog enrichment can include any kind of mental stimulation, like going for a new walking route, playing with another dog, doing training sessions or even listening to talk radio or music at home. Brain toys that dispense treats for solving puzzles are a favorite of labs, and even finding a few hidden snacks around the house can be a fun challenge for labs that stimulates many of their senses at once. 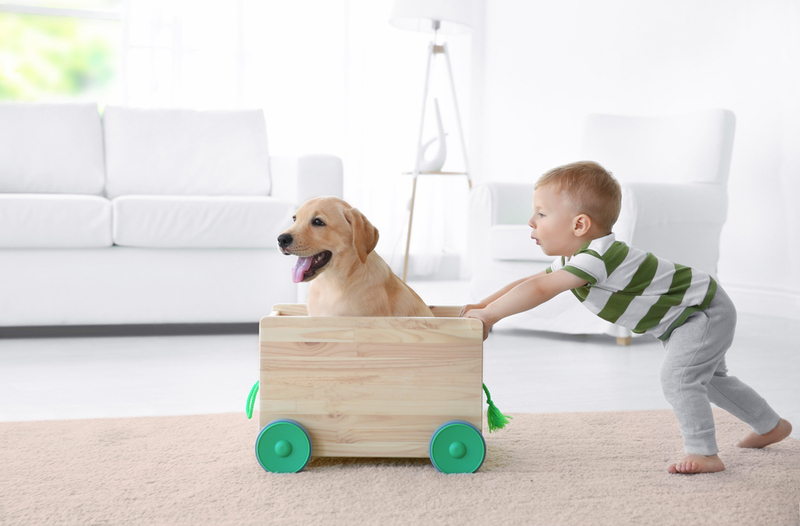 Use your imagination to put together an agility course in your living room, or let your dog sniff around a bit more than usual on your next walk. Providing mental stimulation has many benefits for your lab. When labs get bored, they may become destructive. If you spot your lab over-grooming, chewing on shoes and other forbidden objects, pacing around the house or obsessively licking, it’s time to offer more mental stimulation. Labs are already prone to hyperactivity, but a lack of stimulation can make it much worse. Dogs who complete just two quick training sessions a day are less likely to bark and jump and more likely to be calm in social situations. Mental stimulation also helps labs adapt to stress. By providing different types of enrichment, you make it less likely that your lab will growl at the postman, cower during thunderstorms or throw a fit when other dogs are walking by the house. Labrador retrievers were bred to fetch game for their bird-hunting human companions. To be effective in this role, the dogs needed to have a “soft mouth,” an ability to carry an object without biting into it. If a dog with a “hard mouth” retrieved the fallen bird, his teeth would sink into it, making the meat no longer edible. Although some dogs may be trained to develop softer tendencies, Labrador retrievers are far more inclined than others to naturally have this characteristic. 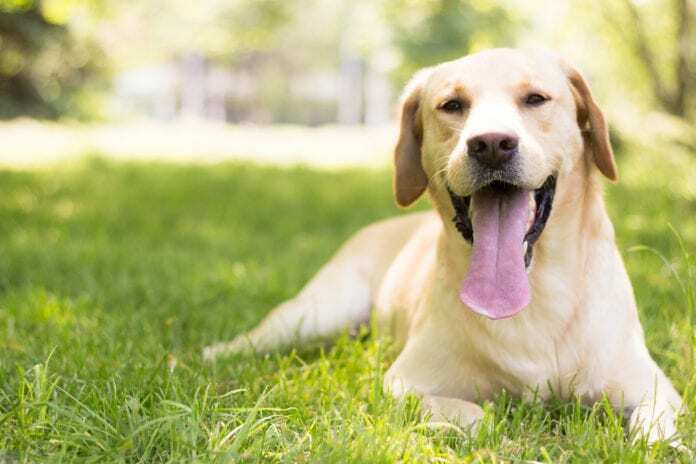 Although labs are known for their soft mouths, it’s still recommended to practice bite inhibition with pups of this and any breed. 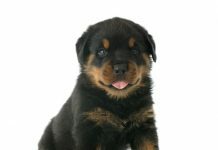 The bite of a puppy can be annoying and slightly painful, but the bite of a dog with sharp teeth and a strong jaw can be detrimental. These lessons may be reinforced when your pup interacts with other dogs. Other puppies won’t let yours get away with biting, either yelping or backing away when things get too rough. Affectionately nicknamed “the sea lions of land,” labs love swimming, and one of the reasons why is because they have a double coat. 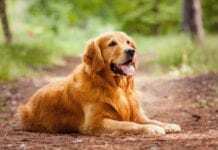 While most dogs only have one layer of fur, labs have two: a guard coat on top that is a bit abrasive and wiry, and lighter, softer undercoat underneath. The undercoat acts as an effective insulator, keeping labs warm in winter and cool in summer. It also naturally secretes oils that keep the skin dry by repelling water. 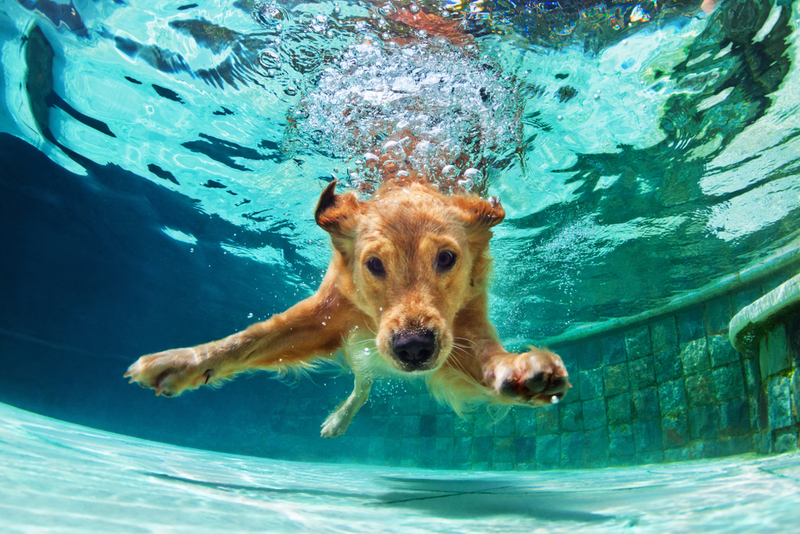 Take a look at your lab next time you go for a swim together. You’ll notice the water quickly running off instead of being soaked up. You may be tempted to wash away those oils with frequent baths, but doing so would be a mistake. The undercoat doesn’t just enable labs to be natural swimmers, but it also keeps their skin protected. Bathing too frequently can result in dry, flaky skin, discomfort and itchiness. Unless your lab rolls around in something questionable or starts to get a little stinky, hold off on the bath. If possible, rinse your dog off with lukewarm water instead of going for a full-blown bath to preserve those helpful natural oils. If your lab really needs a bath, use coconut or oatmeal-based shampoo specially formulated for dogs. Using a gentle formula will help keep the skin moisturized while cleaning the fur. No drying is necessary thanks to the undercoat, and your lab may even love bath time and try playing in the water! 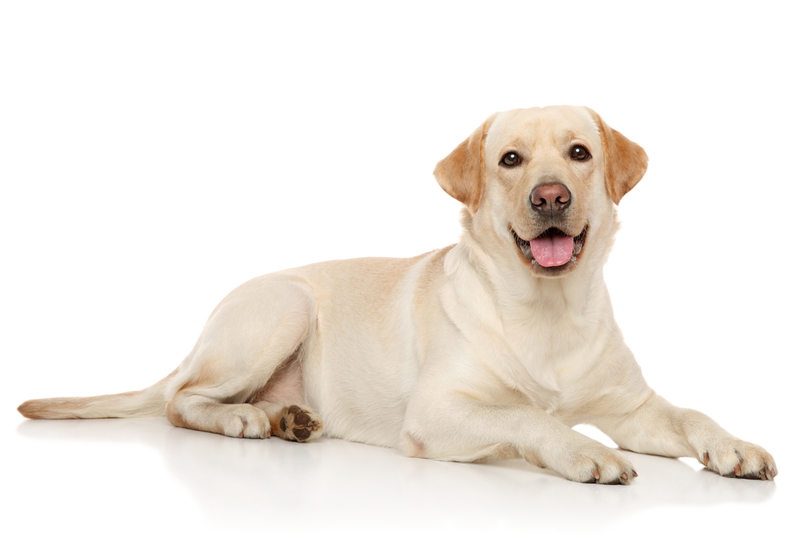 Feed your lab a high-quality diet to reduce shedding by promoting stronger hair follicles. Although labs have short, smooth hair, they tend to shed more than other breeds. 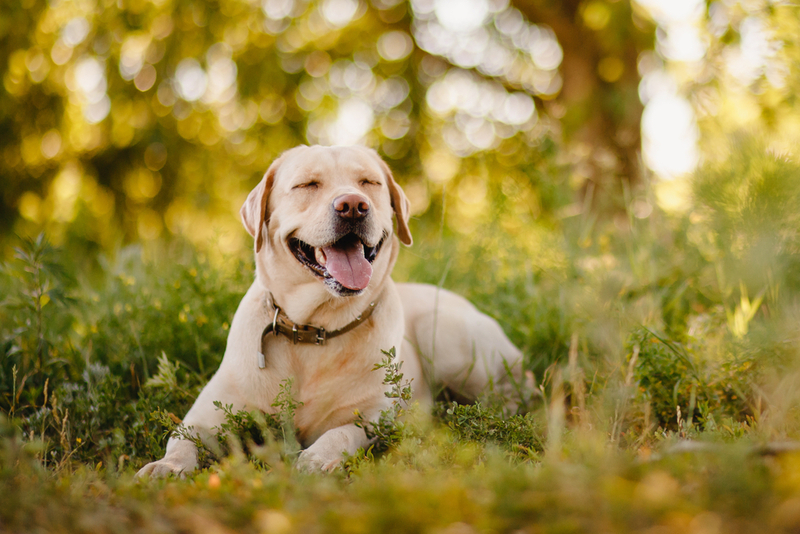 Shedding occurs year-round, but you’ll notice even more fur around the house in spring and fall when labs go through a serious shedding process to get rid of old, damaged hair. Luckily, there are many steps you can take to prevent shedding. At least once a week, brush your lab’s coat out using a stiff rubber brush or a special glove designed for the task. Do this twice weekly in fall and spring, when the natural shedding process is kicked up a notch. Feed your lab a high-quality diet that includes plenty of omega fatty acids. These compounds reduce shedding by promoting stronger hair follicles. 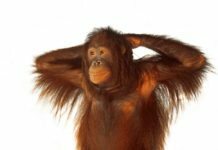 Keep an eye out for redness, flaky, dry skin and excessive scratching. These can be signs of an allergy, skin condition or even mites, which may contribute to excess shedding. Create a comfortable environment for your lab. Stressed dogs shed more, so pay attention to your dog’s feelings and make sure he is getting the right amount of physical and mental stimulation. Whatever you do, don’t shave your lab in an effort to reduce shedding. Your lab needs his double-coat for protection, and if you shave it, the fur will grow back patchy and rough. It may never return to its silky, smooth state. Shaving also won’t reduce allergic reactions, which aren’t triggered by hair and shedding. Allergies are an abnormal reaction to pet dander, which arise microscopic skin particles your lab sheds year-round. Usually Labs are healthy, but like other species, they also get many health issues. The owner should take care of it. Although in general labs are healthy dogs, they do have certain health vulnerabilities. 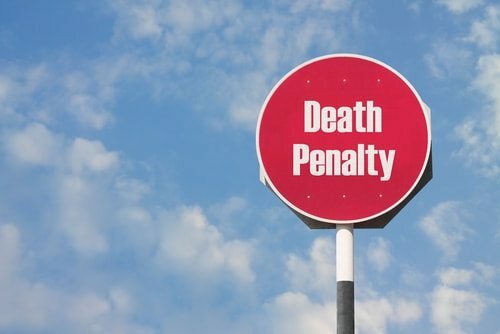 Being aware of these concerns will help you prevent them and seek treatment early should they develop. Like many large breeds, labs are prone to hip dysplasia. This genetic condition affects the hip joint, causing arthritis, instability, pain and even lameness over time. Luckily, hip dysplasia can often be treated. If you notice those symptoms in your lab, a veterinarian may prescribe injections or oral medications to slow the progression of the disease and reduce symptoms. Surgery is another option for treatment with a high success rate. If you choose to adopt a lab from a breeder, ask for the dog’s “hip score.” Responsible breeders will determine this score based on the pup’s parents and can tell if the dog is likely to develop hip dysplasia in the future. The long, floppy ears of a lab may make them more prone to ear infections than other breeds. Moist, warm air can become trapped in the ear canal, providing a breeding ground for infections and bacteria. To prevent this, use a dog ear wash and cotton ball to clean your dog’s ears frequently. Gingerly wash the skin inside the ear flap, taking care to clean all the nooks and crannies. Never insert a cotton ball or other object into the ear canal. If you notice any discharge or a foul odor, take a trip to the vet for professional treatment with antibiotics or a prescription-strength cleaning solution. A good balanced diet will give your lab energy and keep his major systems in tip-top shape.A well-balanced diet is essential for keeping your dog happy and healthy. Labs have a reputation for eating anything and everything, so it is important to regulate your dog’s diet to include optimum nutrition. Look for a dog food that contains all essential nutrients, including carbs, proteins, fats, amino acids, minerals and vitamins. A good balance of these elements will give your lab energy and keep his major systems in tip-top shape. Your dog’s diet can have a direct influence on his health. As mentioned above, many labs can develop dry, flaky skin. If this happens, fatty fish like sardines or salmon can be a welcome addition to meals. The extra omega-3 fatty acids and B-vitamins in these foods can promote skin cell growth and heal skin issues. Labs truly love eating, and this tendency can be a dangerous one if your dog is exposed to certain foods. Your lab should never consume raisins or grapes, caffeine, coffee, eggplant, alcohol, milk and dairy products, large amounts of garlic, macadamia nuts or onions. Each of these substances contains elements that can be extremely dangerous to your lab. Keep them well out of the way of your dog, and if he accidentally ingests some, contact your vet for treatment immediately. A lab who wants to eat anything and tries munching on things he shouldn’t may not necessarily be hungry. He may be craving attention or stimulation. Giving your lab plenty of outlets for his energy and providing both physical and mental stimulation can put an end to poor eating behaviors. Labs tend to be gentle and happy with the children, adults and other four-legged friends. If you have children (or plan on starting a family during your new dog’s lifespan), there may be no better breed than the Labrador retriever. Their playful, reliable, protective and patient personalities make them fun companions for youngsters, and parents can feel comfortable with their kids interacting with well-trained labs. 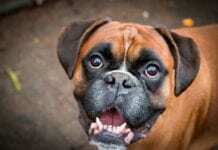 They also tend to live long for a large breed, with an average lifespan of 10 to 12 years. Before bringing a dog into your family, it is important to think through a number of considerations. 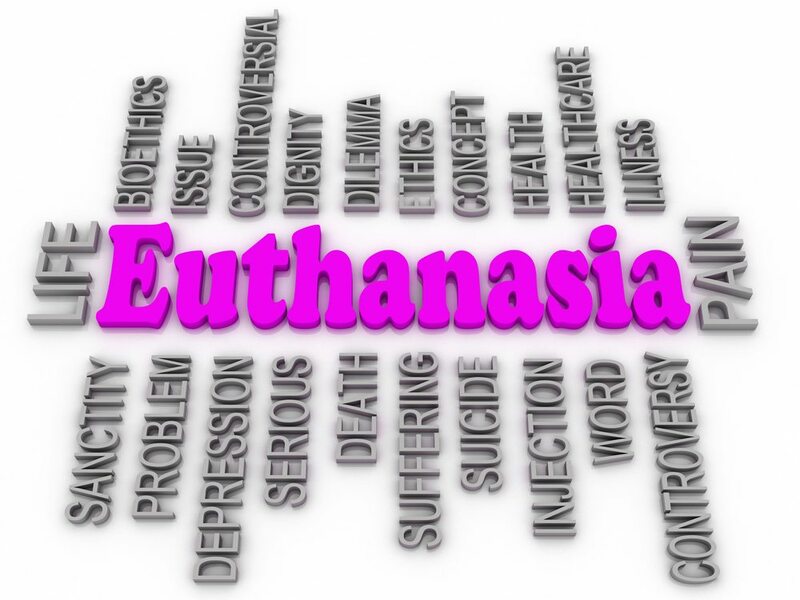 Will the dog be safe with all family members, including adults, children and both genders? 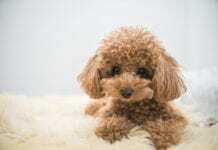 Does the dog have enough energy to keep up with your family? 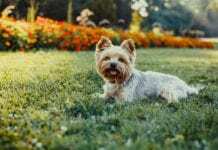 Will the dog require highly specialized care or health attention? Will, the dog gets along well with other family pets? Each of these questions can be answered positively when considering labs. 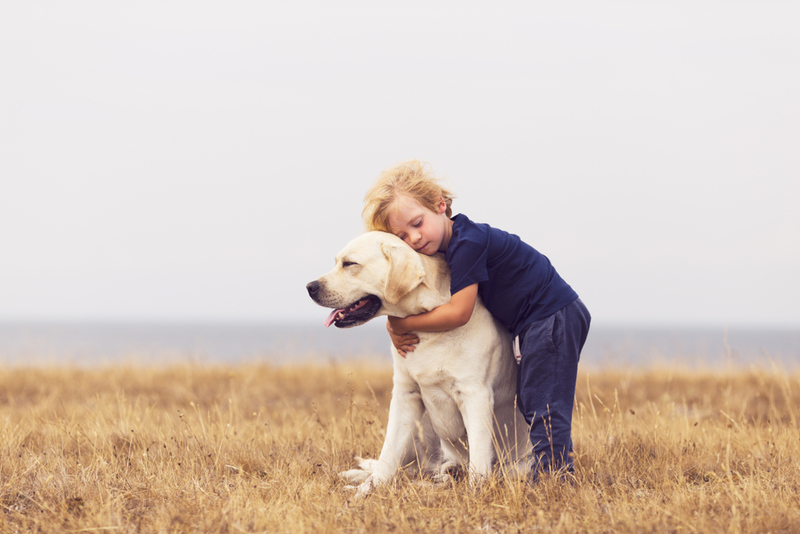 The breed is highly social, and labs tend to do well with both kids and adults. Their boundless energy is no match for active families, and they can certainly keep up with kids who want to play for hours. They’ll happily play fetch in the backyard, join the family on hikes and outdoor adventures and probably out swim both the kids and adults. 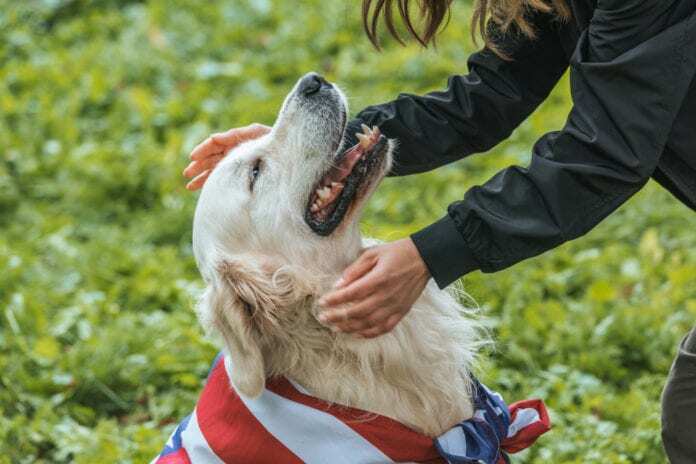 They generally don’t require any specialized care and aren’t prone to many health issues, and labs tend to be gentle and happy with other four-legged friends. They check every box for families looking for adaptable, kind, lovable, enthusiastic pets who will truly become members of the family. It’s easy to see why Labrador retrievers are among the world’s best-loved pets. 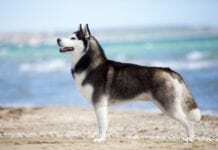 As show dogs, they are prized for their beauty, silky coats and physical strength. As hunting dogs, they are beloved for their ability to bag game with the perfect combination of agility and gentleness. As working dogs, they are relied upon for their innate ability to train and drive toward service. As family pets, they are one of the most popular breeds due to their contagious enthusiasm, big hearts and loyalty. Bred for their tolerance, intelligence, gentle temperament and energy, labs can be just as content romping through a park as they are snuggling next to a human companion on the couch after a long day of play. This balance between energy, intelligence and gentleness makes them unique among dog breeds and great companions for anyone who is looking for “man’s best friend.” Whether you choose a black, yellow or chocolate lab, you’ll meet a lifelong friend who will become family. 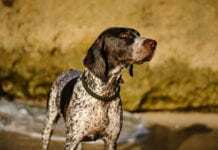 It is important to remember that all dogs are different, and there are always variations between breeds, but you can expect your lab to have many of the characteristics listed here. Each dog will develop a personality of his own depending on how he is raised, fed, trained and loved. When a lab has the right combination of diet, physical and mental stimulation, socialization and training, you’ll bring out the best in them and clearly understand why they are one of the most popular dog breeds in the world.